Selvage Blog: BREAKING NEWS! 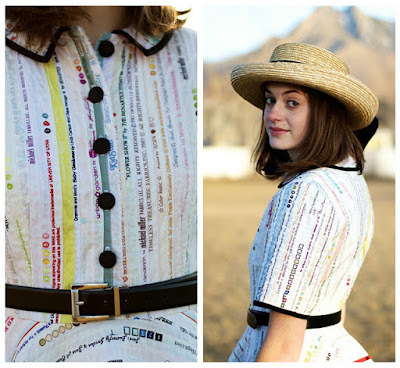 Julia Taylor's Selvage Frock! BREAKING NEWS! 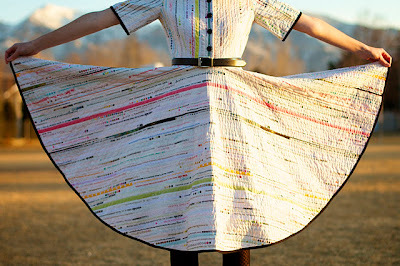 Julia Taylor's Selvage Frock! 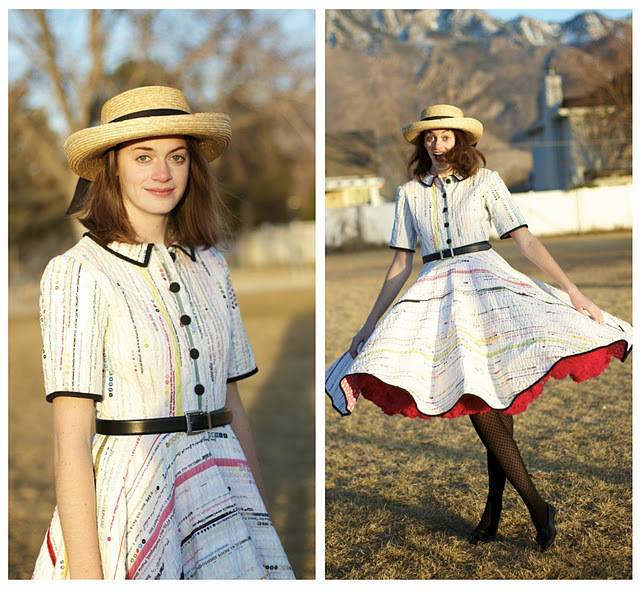 When Julia Taylor of Utah saw Jodie Carleton's selvage frock she fell in love with it, like we all did. But Julia wrote to Jodie asking if she could make one for herself. Of course Jodie said yes; she even gave Julia some advice about how to make it. So here is the finished dress. Julia says it's her favorite. Oh yes! Take a look at Julia's blog: Jules' Jewels to see more great photos and read her interesting story. And to say "Great job!" I signed up to Follow. I want to see what she does next!! Selvedge LOVE. Julia did a fantastic job. Jodie is so giving as well. Wow, wow, wow!! Awesome job!! It looks fantastic! Thank you for sharing! Surprise Virtual Field Trip Today! Meet Prudence Mapstone from Australia! Where Are All the Dresses? Help Make the Selvage Blog Group Quilt! !